House Minority Leader Nancy Pelosi (D-CA) attempted to have a press conference calling for the immediate passage of the DREAM Act in San Francisco Monday but was disrupted by left-wing protestors who called themselves "immigrant youth" and shouted her down, angry about her negotiations with President Trump. “We undocumented youth will not be a bargaining chip for Trump's xenophobic agenda,” they shouted. “You had your say and it’s beautiful to our ears,” Pelosi said as they chanted over her. The protestors carried signs that said “Undocumented, Unafraid” and chanted simply “Yes or no” presumably on whether action would be taken to legalize DACA. They demanded a "clean bill" that "protects immigrant youth without hurting our families." "Democrats created an out of control deportation machine," they chanted, "we demand accountability. Democrats are not the resistance of Trump, we are." 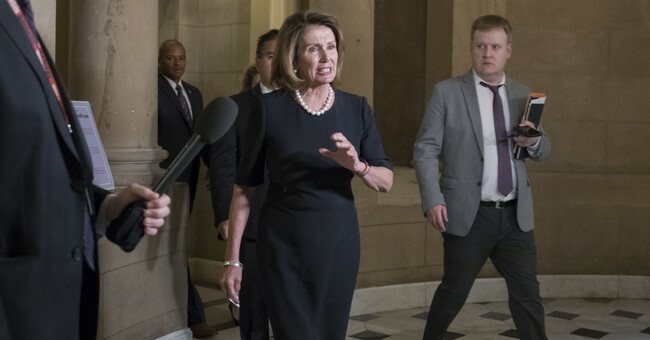 “Just stop it,” Pelosi cried out at one point over the shouting. She was eventually forced to leave since she was unable to talk over the protestors.